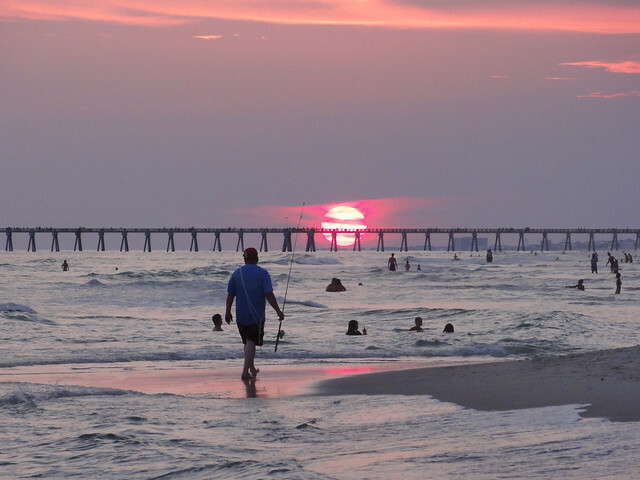 Panama City Beach is a great vacation and waterfront town in the northwestern part of Florida. It is popularly known for having long miles of white sandy beaches that front the Mexican Gulf. Raucous Panama City Beach spring break parties are hosted each and every year; however, not everyone is there to party. 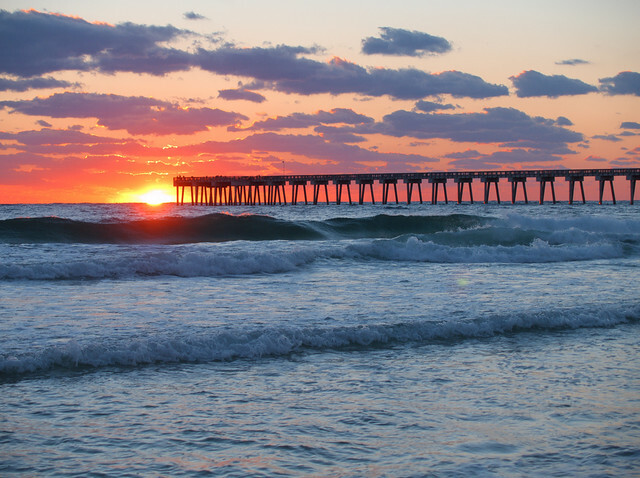 In fact, many families also enjoy a Panama City Beach spring break because of the abundance of activities to do, events to attend, hotels to stay in, delicious local cuisine, and of course – gorgeous beaches! Panama City Beach can be accessed by either road or air transport. Air transport is by far the fastest way to get to this amazing holiday spot, but most will travel by road. The town is located 10 miles from the Northwest Florida beaches international airport. The airport is located right at the heart of Panama City. For those who would prefer to fly, there are approximately seven airlines that operate from the local airport. The airport does not support any international flights, but every week, it receives a minimum of 140 domestic flights. In addition, the Northwest Florida beaches international airport provides nonstop flights to nine cities within the United States. If you live in one of the cities, you at least get to travel without making any connections, or stops along the way. Road transport is also a great way to travel to Panama City Beach. It will provide you with the chance to meet new people on the road and even get to interact with your friends on the drive to the beach. 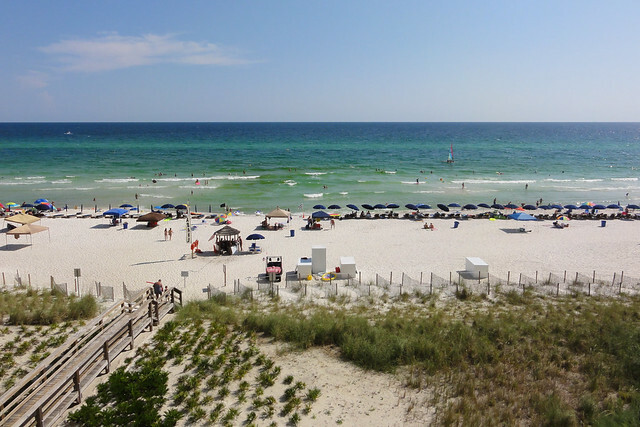 With soft white sand, calm, warm, and blue gulf waters, the beaches are really what bring people to PCB. Lounging on the beach soaking up rays, and playing on the sand and in the water is one of the most popular things to do. With clear waters, snorkeling is a popular activity too! Even more exciting is if you combine the snorkeling with a dolphin encounter tour! Speaking of dolphins, there are lots of them in this area. If you would rather not snorkel and just want to check out the dolphins, you can also book dolphin sightseeing tour too. If you are up for some adventure on the water, there are a number of boating and water activities for you to enjoy! From kayaking, parasailing, and catamarans. There are many places where you can rent them along the beach, or you can book an exciting catamaran adventure sail with the pros! For a more relaxing experience, how about kicking back and relaxing on the water — listening to tropical music playing in the background, sipping wine, beer, or sangria while watching the sunset…and maybe seeing some dolphins too? If this is more your speed, then definitely check out one of the nightly 2 hour catamaran sunset sails! Families visiting Panama City Beach for their vacation can start off by visiting the Miracle strip found at the Pier Park. The park is known for its vintage rides which include the butterfly tent and the Ferris wheel. If looking to spend some time away from the beaten path, you can also schedule a visit to the St. Andrews state park. While at the park, you will be able to enjoy various activities such as boating and even laying in the sun. St. Andrews also happens to have camping resources for those that might have an interest in the same. The Emeralds family recreation center is another great place that you should visit. The complex is equipped with go karts and a mini golf course. The course will allow you the chance to practice your strokes before visiting the beach at a later time. The main in the sea museum is a must visit for those interested in science and history. Scuba diving enthusiasts are also encouraged to visit as the place has all the facilities required for one to go diving. Vacationing may be a great way for you to unwind, but you still need some fuel for the body. 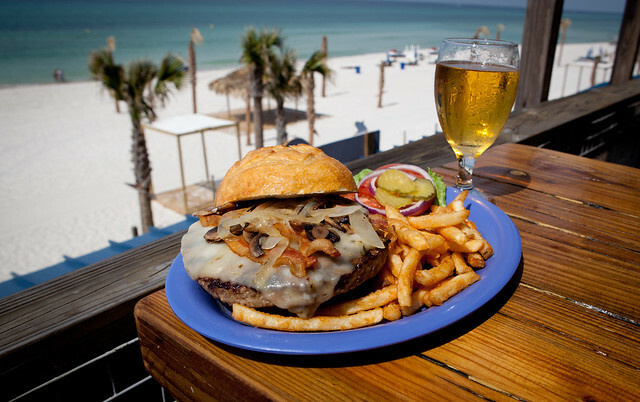 Panama City Beach restaurants follow a very simple formula; great food, casual atmosphere and friendly service. You do not have to leave the beach for you to enjoy a great meal. The view of the Gulf makes the dining experience much better. Schooner’s – and outdoor restaurant on the water that celebrates sunset each night with canon fire! Yeah, you read that right! This is our kind of place, where we can enjoy the music and some great food! When planning your visit, it is always recommended that you make all your accommodation arrangements in advance — but this is especially true if you are coming to visit for a Panama City Beach spring break. PCB has a host of accommodation options ranging from hotels, motels and also a lot of condos. The choice of accommodation is really going to come down to budget, and what kind of amenities you are looking for. Below we’ve listed some of the top rated hotels from online reviews; however, we only focused on hotels and resorts along the beach — because that’s what most people are going for. Although, there are always cheaper options if you are willing to stay further from the water. Holiday Inn Resort Panama City Beach – Having stayed here myself, I can attest to this great 4 star hotel right on the beach! Great reviews and lots of activities and amenities for everyone in the family. Fitness center, outdoor pool, hot tub, sauna…and a golf course on site! Oh, they’ve got a pretty nice tiki bar too – with great views! Laketown Wharf by Resort Collection – this is technically a 3 star hotel, but it is a large condo-type hotel with great reviews! It is in a good location right on the beach and has lots of amenities including an outdoor pool, playground, and game room for kids. Edgewater Beach and Golf Resort by Resort Collection – this is a four star resort with fantastic reviews too. It is nestled right on the beach with a beautiful pool, and amenities like a fitness center, hot tub, massage, tennis courts, and golf nearby. The Summit Beach Resort by Resort Collection – a 3 star facility that is great for families! Great reviews and location on the beach, as well as lots of activities for everyone in the family. A pool, hot tub, fitness center, sauna, tennis courts, game room, private beach, and non-motorized sports. It has 2 restaurants on the property and a tiki bar! Days Inn Panama City Beach – This 3 star hotel is an affordable option, also on the beach – with a great pool with rock waterfall! If you want to search all PCB hotels and sort by price and location, click on the banner below! Panama City Beach is a great vacation spot for any person looking to let loose and just have some fun. There are activities for couples, young children and even college going students. However, there are some considerations to keep in mind — especially if you are visiting PCB over spring break. First of all, Spring Break in Panama City Beach is the high season. You should definitely book your accommodations early, and prices will likely be high. The earlier you lock in a good rate, the better. You should also look into making advanced reservations for any Panama City Beach activities that you want to do. This way, you can be sure that it isn’t sold out, or that the times fit with your schedule best. Also, it will be crowded. Our personal recommendation is to stay at a great beach resort with lots of activities onsite, and access to the beach. You will not want to drive around town too often due to traffic, and parking. Your best bet is to stay at your hotel and relax! Another consideration is the “party scene” for spring break. If you are traveling as a family, you may want to specifically choose a family friendly hotel as opposed to being mixed in with the young college-aged spring breakers. For more ideas of things to do in Panama City Beach, check out our own Panama City Beach Bucket List! Happy planning & enjoy your Panama City Spring Break trip!